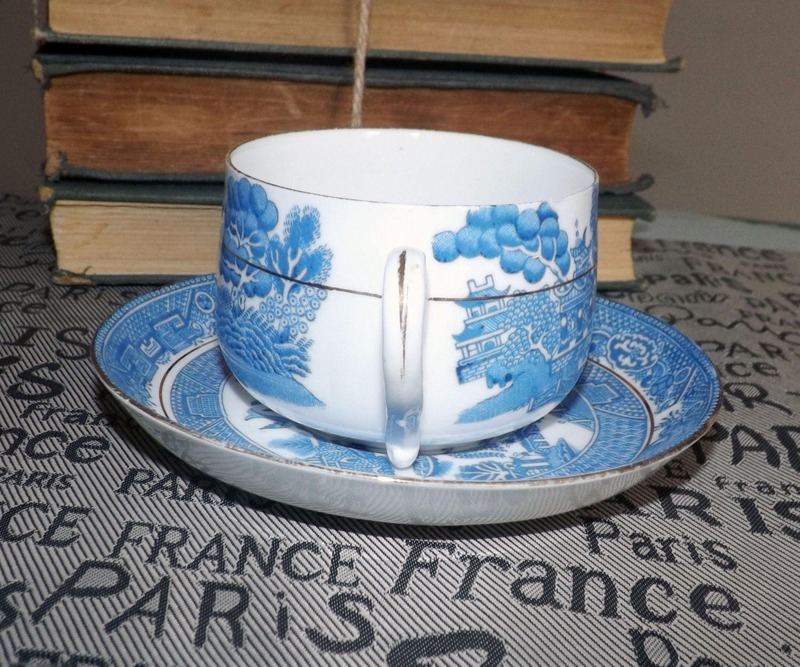 Antique (1907) Royal Tuscan | RH&SL Willow F330 hand-painted Chinoiserie blue-and-white tea set (flat cup w/saucer). Gold accents. 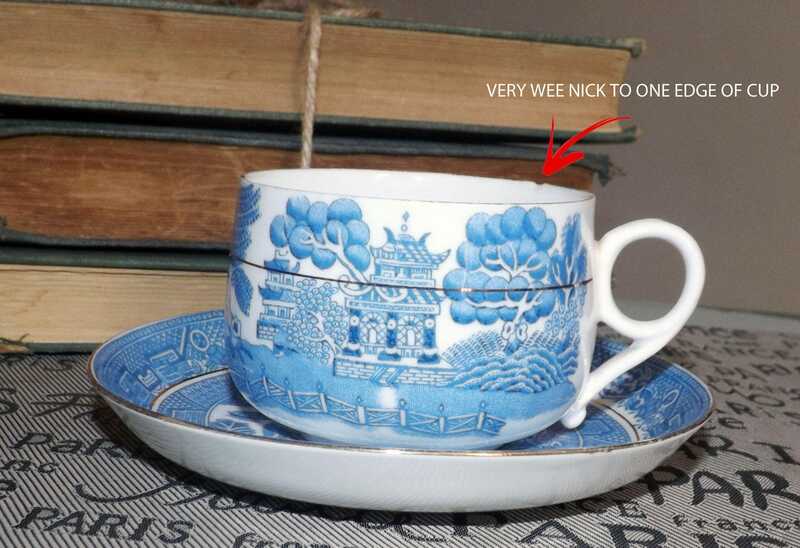 Antique (1907) and very hard to find Royal Tuscan | Tuscan | RH&SL Plant Willow F330 pattern hand-painted tea or coffee cup with matching saucer. 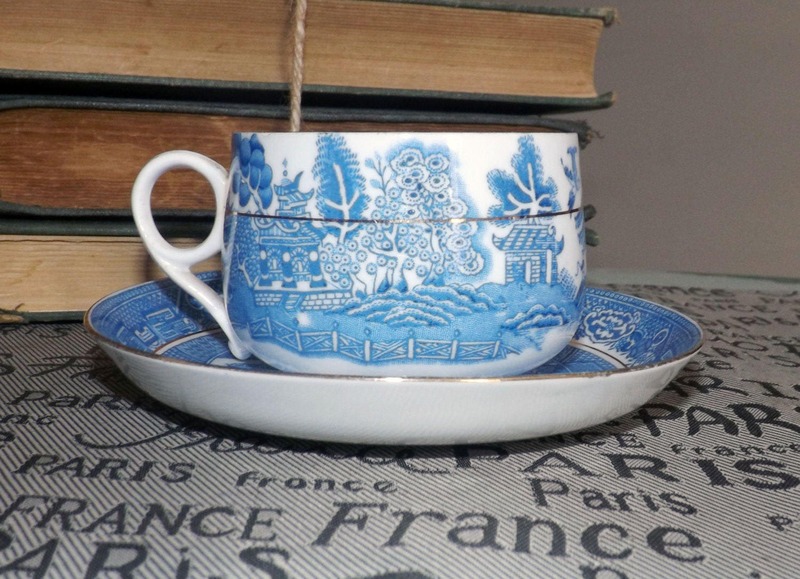 Old Willow is a classic Chinoiserie pattern featuring a blue-and-white Oriental pagoda theme with an inset gold band on the middle of the outside bowl of the cup and inside the verge of the saucer and a smooth a gold edge and accents on the cup handle which is fashioned in a rounded, true art-deco style. In VERY GOOD! vintage condition, but does have a WEE NICK! to one edge (please refer to photo 2 specifically at the red arrow to draw your attention) and MODERATE loss to the gold edge on both pieces and a couple of VERY WEE INDEED! spots of natural peppering (small black dots that appear during kiln fire from carbon elements in the soil). Please do - ALWAYS! - review each of the posted photos for a complete visual of the pieces. 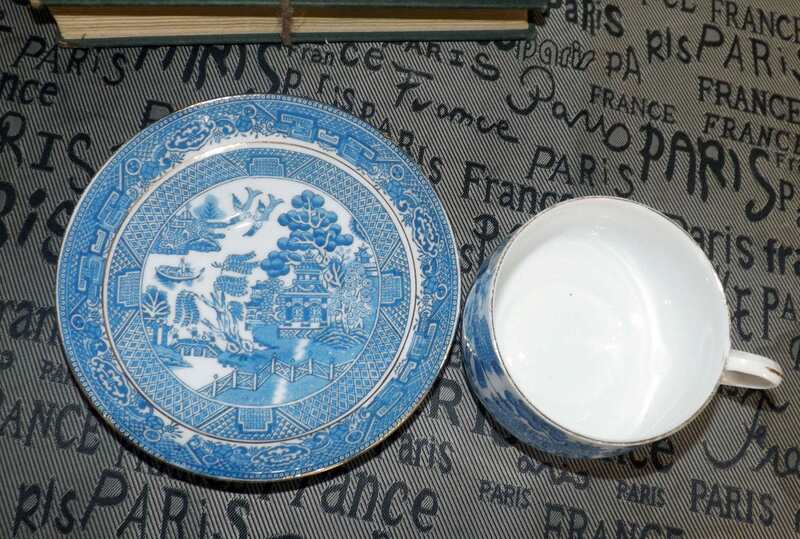 The blue-and-white Chinoiserie Willow pattern is bright and vivid with NO! noted fading. 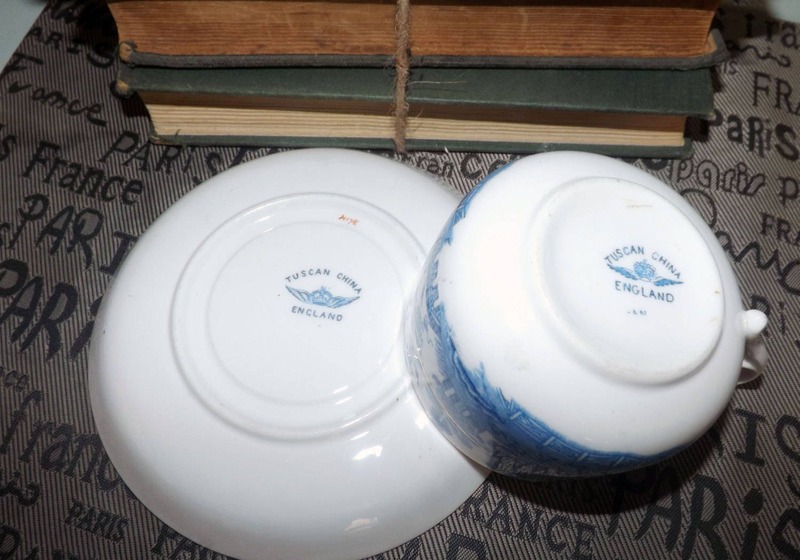 Approximate measurements: flat tea cup stands 3" with a 3-1/2" diameter bowl | matching saucer is 6" in diameter with a coupe shape. Both pieces have a smooth, gold edge.